Congratulations on joining the PeoplePerHour community! We’re excited to have you here. You may have just joined us as a new freelancer, or you may have been on the fringes for a while, yet to bag yourself a paying client. Well, let’s try and change that for you. Here are our top five tips for using your freelancer profile to land your first client on PeoplePerHour. It still surprises us how many people overlook the biggest marketing tool they have on the PeoplePerHour platform. Your freelancer profile. A great looking profile will really help to highlight your strengths and talents and is key to bringing in your first client. Fill out your profile as much as possible, and really focus on your headline and the first three lines, as this is what will show above the ‘read more’ tag on your profile. As part of your freelancer profile, make sure you have a decent picture. We really encourage personal headshots rather than company logos or cartoon-style figures. Buyers like to get an idea of who their freelancer is, so use your headshot to your advantage in your freelancer profile. We also encourage professional profile pictures. So, if you were planning on using the one of you swigging a beer on a beach in Spain, we’d urge you to reconsider! Your freelance portfolio is your biggest sales tool — it shows your potential new customers what you’ve done before, and the quality of work you could do for them. If you want to quickly land your first client, load your very best pieces of work to your freelance portfolio, with your best six pieces first. (These are the ones that will be shown first on your profile.) The good news is, you can add as many pieces to your portfolio as you like! But, we also know that new freelancers might not yet have a freelance portfolio to show off. If this is case for you, don’t panic! Even as a brand new freelancer who’s just starting on the journey to living your work dream, you can build a portfolio easily and quickly. Enter competitions. This is a great way for creative freelancers to show what they’re made of. Search online for relevant competitions in your industry and create a few pieces of work. If you win, bonus! If you don’t, it doesn’t matter. You have something to add to your portfolio. Offer to do freelance work for friends and family at a reduced rate. Know of a family business that could use your services? Use who and what you know to help you build your portfolio. Working for friends and family for a very limited time can really help to boost your credibility, and your freelancer portfolio. Offers, formerly known as ‘hourlies’, are just one of the things that set PeoplePerHour apart from some of our competitors. Offers are ‘off-the-shelf’ jobs that you can complete for different buyers over and over again. For example, if you’re really good at writing blog posts, you can easily create an offer for writing a 500-word SEO-friendly blog post for a set fee. That offer can then be bought by the PeoplePerHour community of buyers. 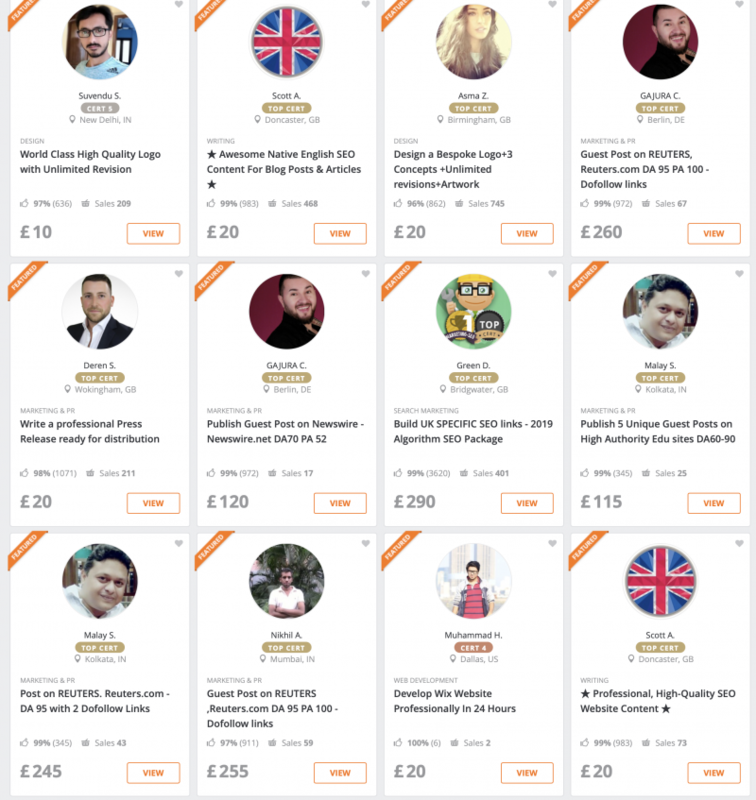 Offers are brilliant additions to your freelancer profile and act as your very own little shop that you can promote both on and off the platform. 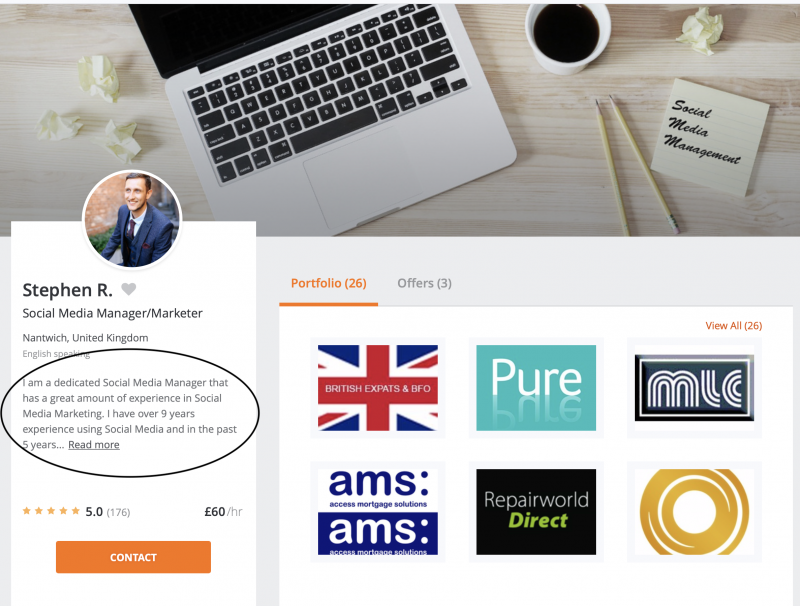 Interesting fact: over the last six months, PeoplePerHour buyers have bought 30,602 offers, compared to accepting 28,867 public freelancer bids. Go ahead and create as many offers as you like! This can be a great way to land your first customer. As our monthly gift to you, PeoplePerHour will credit your freelancer account with 15 proposal credits at the start of each month – completely free of charge. All you have to do is use them. It’s unlikely you’ll gain your first client without bidding on projects. Applying for projects regularly and writing a stellar proposal will help to convince new customers that you’re the right freelancer for the job. Tailor your proposal for every new project. It’s okay to have a template but make sure you have the customer’s actual needs in mind when writing your proposal. Carefully consider your bid. Make sure you have a good idea of how long it might take you to do the work, and price the project accordingly. Ask for more information from the buyer if it’s necessary. Highlight your freelance skills and explain why you’d be the best person for the job. 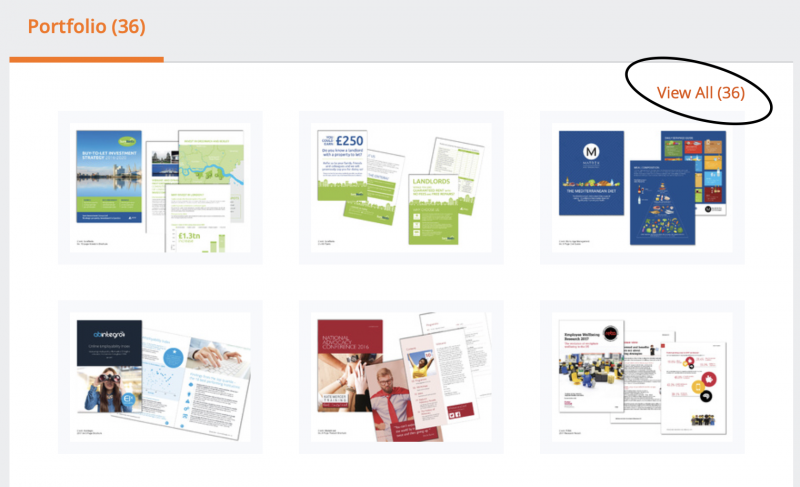 Upload examples of your freelance portfolio. Keep all of your communication in the worksteam. Send the same blanket template out to every project. Price your bid lower than normal just to get the work. This sets a precedent that you’ll find it hard to break. And, buyers may not accept your freelance proposal if you’re too cheap! Make any spelling mistakes; double and treble check your proposal before sending it! Promise something that you know you can’t deliver. This just leads to bad feedback. Starting out as a new freelancer can be tough. But don’t be too hard on yourself, everyone needs to start somewhere. PeoplePerHour has some incredible talent, doing remarkable things, and earning a lot of money in the process. This comes with dedication, selling Offers, sending off regular freelance proposals and delivering brilliant customer service to buyers. Once you land your first client, it will become much easier to get the second! Doing a combination of these things will spark your success in no time! Do you have a tip on how to win that first customer or more business on PeoplePerHour? Leave a comment below and share it with our community! It was useful, I idid appreciate. Thanks a lot! Hi! I got my first customer. And then a second. And then nothing. I keep changing my Offers, the pictures, the wording, the layout. I am afraid I am doing things worst in my effort to make them better. Am I paying too much attention at pictures and styling? Am I not using the right words? I am not sure. Still learning. And my proposals? Are they too long or too short? No idea! Maybe one day I’ll know and share it with you! Best wishes to all starters! Thank you for for your valuable suggestion. Good Instruction But not for everyone. I’ve seen many freelancers who have made a lot of money by doing small tasks. But their capabilities are very low. It can not be left thinking. We have to try. Also, make sure you don’t work as a slave. Know the right prices of your Industry or service. Most neophytes overwork and get underpaid.